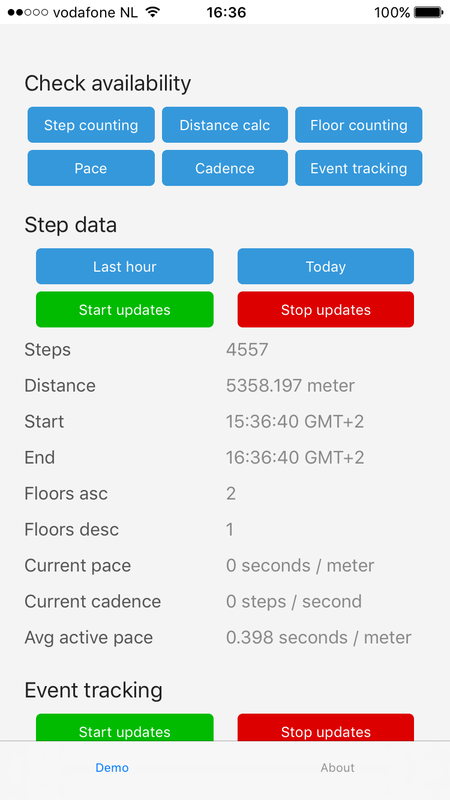 NativeScript pedometer plugin. Step counting FTW! The key feature of this plugin is counting steps. And it's also the only feature that Android supports. Providing only TypeScript examples from here on out, but usage it largely similar. Also, I'm leaving out the Promises where they don't add clarity to the code sample. 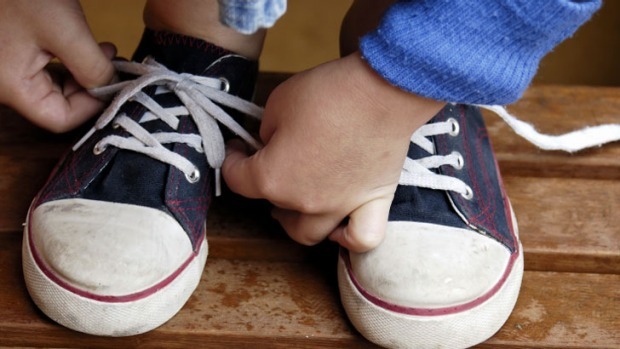 To start receiving step count updates from this moment forward you can invoke startUpdates. If you want historic data on iOS, pass in a custom fromDate. startDate :white_check_mark: :white_check_mark: This is when recording of the currently returned data was started. endDate :white_check_mark: :white_check_mark: This is when recording of the currently returned data was ended (usually: now). distance :white_check_mark: :white_medium_square: The distance covered in meters between startDate and endDate. floorsAscended :white_check_mark: :white_medium_square: The number of floors ascended between startDate and endDate. floorsDescended :white_check_mark: :white_medium_square: The number of floors descended between startDate and endDate. currentPace :white_check_mark: iOS9+ :white_medium_square: The current pace in seconds per meter. currentCadence :white_check_mark: iOS9+ :white_medium_square: The current cadence in steps per second. averageActivePace :white_check_mark: iOS10+ :white_medium_square: The average pace while active in seconds per meter between startDate and endDate. You can wire up a Promise but there's no real need. From iOS 10 onwards it's possible to get notified whenever the device detects a switch between a 'paused' and 'resumed' state (so starting/stopping walking). To check beforehand whether or not this feature is availbe, call isEventTrackingAvailable (which has a similar API to isStepCountingAvailable). date The moment the event occured. type Either "pause" or "resume". 1.0.0 Initial release, iOS only, but full featured.